We are getting so close! Close to the green season where everything grows. 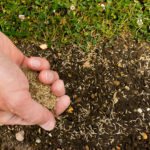 While you may have missed the opportunity to seed late last year, there is still time for you to set your lawn up for a green spring and summer. The best time to seed is in the fall. Seeding in the fall allows cool-season grasses to establish before winter. Sow two months before the first frost of the season. 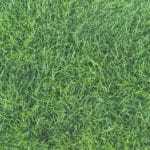 This is the best time to plant because there are fewer active lawn diseases, and weeds tend to taper off, meaning your grass won’t have to compete as much for access to sun and water. 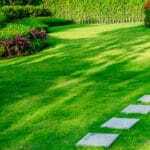 Plus, as the leaves begin to fall from the trees, your lawn will have more access to sunlight. While fall is the best time to sow, you can also find success in spring. 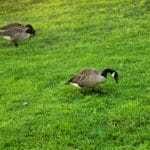 Springtime provides moisture and warm air, which are beneficial to grass growth. The biggest problem you’ll face is weeds, which are more prevalent in the spring, causing grass to have to compete for the nutrients it needs to thrive. Also, the summer’s hot temperatures and drought conditions can introduce undesirable stress to your new lawn. That’s why you should seed as soon as the threat of frost is gone, giving your yard time to establish. Leave the Seeding to Us. Your friendly neighborhood lawn-care professionals at Green Lawn Fertilizing are here to help you reseed your lawn. Contact us today at 888-581-5296 for a free consultation.